A total of 114 cards for use with Freebooter's Fate 2nd edition. 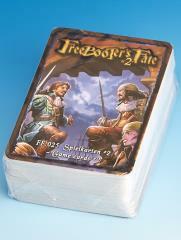 For a game of Freebooter's Fate, one deck is required, regardless of the number of players and characters involved. The cards are bilingual, in German and English language. 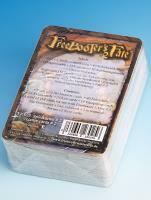 For use of the cards, the Freebooter's Fate Basic Rule 2nd Edition is required. We also recommend our protective covers for this article.